Well, today I wanted to share my some of my favorite digital items that I’d been drooling over and been wanting to add to my digital library -like, yesterday! 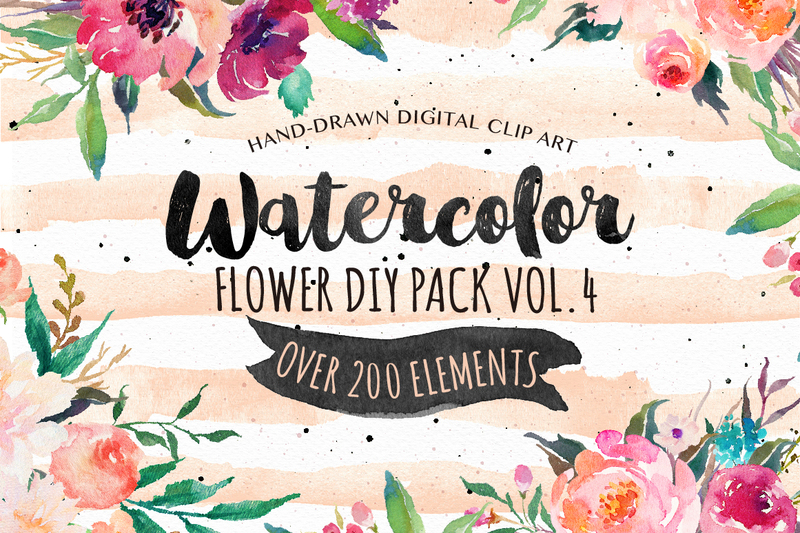 So, let’s start off with this gorgeous gorgeous goreous Handrawn digital watercolor flower clip art- pack #4 by Graphic Box that has been literally calling my name! It has over 200 elements that could be used over and over and over again, till your little hearts desire is fulfilled! The possibilities are pretty much endless here! ♥ Up next is an incredible digital bundle to good to be true! 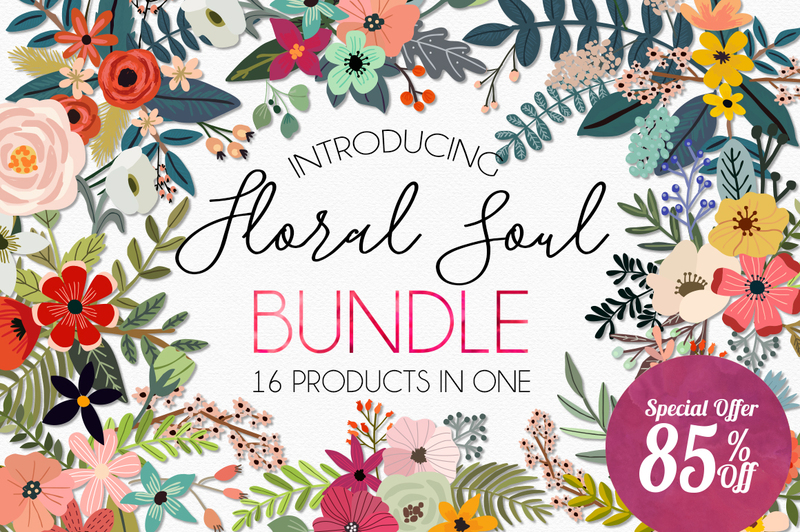 It’s 16 product collections in ONE called the Floral Soul Bundle! 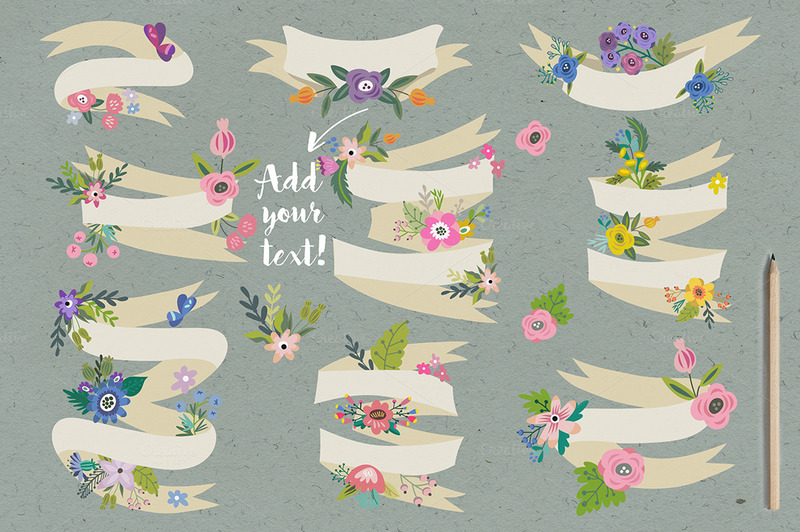 ♥ Up Next, is this super pretty collection from MarushaBelle that makes me smile from ear to ear by just looking at it! 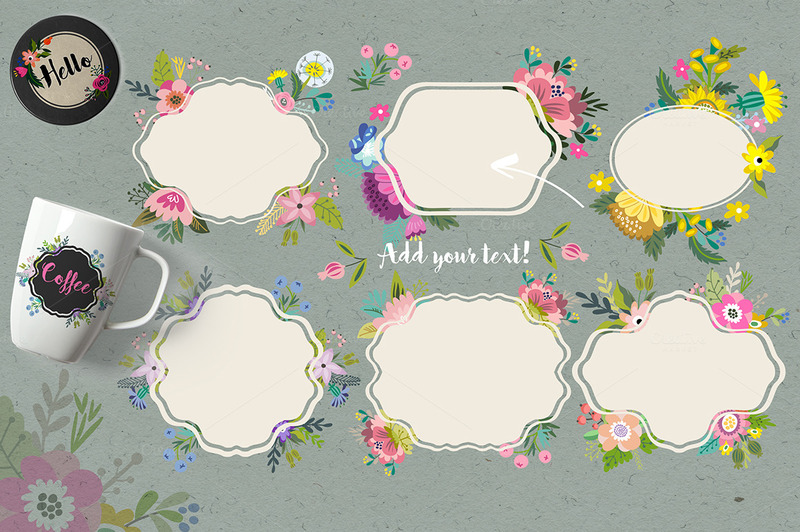 I could play around with these pretties all day! Oh Oh… more good stuff to download! I could spend all day doing this!!!! love them all! Wow talk about spoiling us, insane girl, love them all so much. Thanks a million and then some. Now what will I do with each and every awesome one? 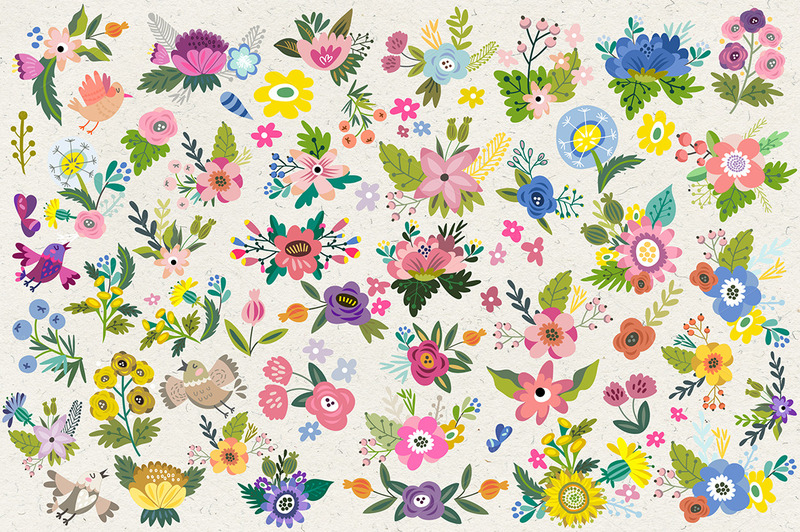 Love all bright happy colors.Sure saying Spring is here. It’s hard to know day to day if we’ll have spring or? Been wanting to get rest of winter stuff put away but don’t dare yet. How is it where you are?keeps life interesting. oh my dear i feel your pain!! Hey, is everything you showed here free to use ? When it states its free then it is free.